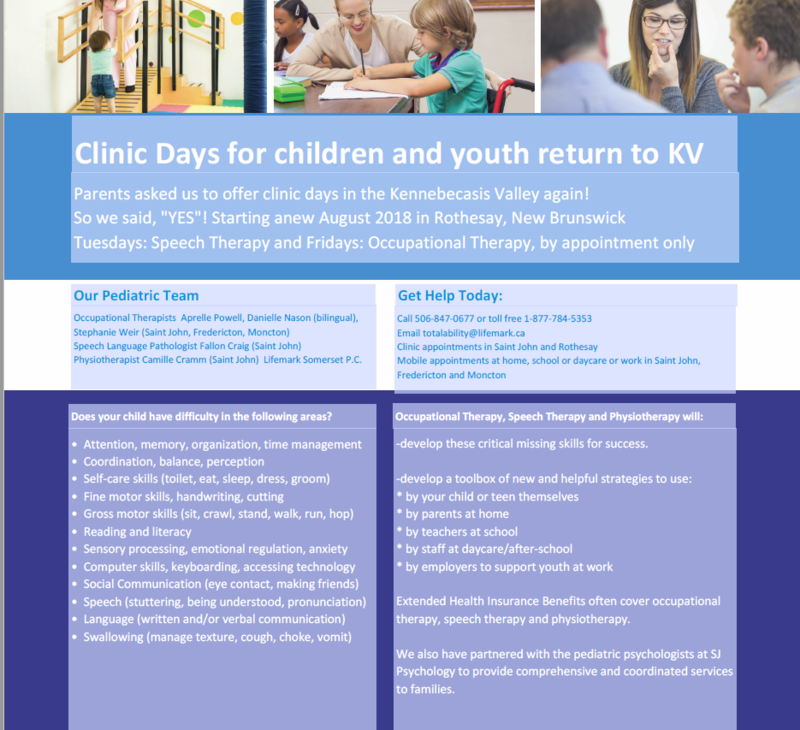 Parents asked us for clinic days in KV again! Having a spot locally in Rothesay makes it much more convenient for families in Rothesay, Quispamsis, Hampton, Norton, Apohaqui and Sussex. We are offering occupational therapy appointments on Fridays and speech therapy (speech language pathology) appointments on Tuesday. Sessions are by appointment only on clinic days. Does your toddler, pre-schooler, school-age child, teen or youth have difficulty with any of the following? Then occupational therapy, physiotherapy and speech language pathology can help! Call 506.847.0677 or toll free in New Brunswick 1.877.784.5353 to book your appointment today on one of our clinic days for children in KV. We continue to offer occupational therapy, physiotherapy and speech therapy appointments at our Saint John location too!